The “Sports Council of Baix Llobregat” (CEBLLOB) is a private, non-profitable entity, created in 1981, and has as a main objective the encouragement, promotion and organization of physical and sport activity in its territorial scope, therefore, the Baix Llobregat region. The Baix Llobregat is located in the province of Barcelona; ​​it has an area of ​​486.10 km, 30 municipalities with a total population of 806.249 inhabitants of whom 175.548 are of school age. CEBLLOB works in a close collaboration with all those entities that intervene: public administrations (Catalan Sport Council, Deputation of Barcelona, Local Council and municipalities), schools (Education Departament) and the private entities and sport associations. From its beginnings, the main program developed by CEBLLOB is the School Sports Games of Catalonia. This program has a clear purpose: the values education through sport for all groups involved. The CEBLLOB is responsible for convening, coordinating and implementing all activities, at local, regional and interregional, aimed at children and young people from primary school and even from high school education. It is also responsible for organizing and executing activities upperregionals. The big size of the program of School Sports Games (Jocs Esportius Escolars) can be translated to a total participation of almost 13.000 boys and girls, 275 entities and schools and 30 municipalities. Within the Program of School Sports Games it must be stressed that CEBLLOB launched, during the school season 2013-14, a new model of sports school competition called Juga Verd Play, with a very clear purpose: promotion of educational values through sport for all groups involved. The basic premise of the project is that if you educate in values, the goal of getting more points than the adversary cannot be the only condition to win the game; values and civic behaviour also count. In this sense, another unique characteristic of the project is the integration in the assessing process of all the agents that participate in school competitions: families (parents), facilitators of the game (referees), coaches and tutors (a responsible person of each team, can be a mother, a father or a big brother. This person will evaluate the attitude of the other viewers/spectators). Therefore, “Juga Verd Play” implies a conceptual shift from the traditional system of punctuation: games are played with in a total of 10 points to achieve, of which only 3 really matter in the scoreboard, the rest are awarded based on established criteria related to the values and fair play. These criteria are further explained in section E1. So far, the experience of Juga Verd Play has been applied to is team sports (football, indoor football, basketball, volleyball, handball) in regional competitions organized by CEBLLOB and in categories corresponding to children’s education and in the lower secondary, meaning, from 5 to 18 years old This means a total of 490 teams, about 5,300 boys and girls, 200 weekly games and 30 municipalities involved in the region. Lastly, it is worth to note that “Juga Verd Play” has embedded ICT as a great ally since it counts with an application for smartphones called “Baixesport- VerdPlay” (also available in desktop format), facilitating the registration of scores of all implicated agents and hence an optimal process of data collection. “Juga Verd Play” is therefore a solid bet in the challenge of changing the paradigm which intends to educate not only children, but also other key actors like families (mothers and fathers) for their roles in the sport participation of their children. From the 2005-2006 academic year, the Catalan Sport Council and the Education Department have entrusted the management and the revitalization of the PCEE to the CEBLLOB. This program aims to promote regular physical activity and sport for children and young people in extracurricular time in their own school. The CEBLLOB is the Sport Council with the most participation throughout Catalonia with a total of 122 participating schools in PCEE (33 secondary schools, 71 primary schools and 18 private schools. 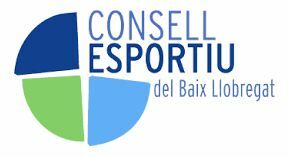 The promotion of school sport is one of the pillars of the Sports Council of Baix Llobregat. The CEBLLOB offers a wide range of leisure and sports activities aimed to schools to promote minority sports with a distinctive feature: prioritizing participation and socialization above results. In this regard, sportive meetings are the best example of the work done by the CEBLLOB. You must also take into account other activities such as promotion plans, the sea baptisms, choreographic activities or orientation race, among others. Courses for physical education teachers that are included in the named supplementary training plan for physical education teachers, recognized by the Education Department of the Government of Catalonia. Courses for municipal technicians: short training sessions that aim to ensure the recycling of technicians linked to the world of sport town. Courses for referees: monographs of the different sports regulations of the program School Sports Games. Courses for sports volunteers: basic level courses for the development of the volunteering tasks or sports´ monographs. Sportive advisory services: design strategic plans for municipalities with specific problems, information about grants, legislation or regulations about sport, etc. IRS was founded in 1973 and it is one of the leading research institute in Italy and in EU with a strong long-standing and qualified reputation for providing accurate applied research, evaluation, monitoring, technical assistance and consultancy and training addressed to national and EU public administrations, to private and public institutions, including the European Commission and the European Parliament and EU agencies. Furthermore, IRS gives special attention to training and applied research, and activities to support the implementation and operation of networks of scholars and policymakers. Since its foundation, thanks to a highly qualified internal research structure of more than 60 Researchers, IRS has been carrying out wide research activities, in partnership with other leading European research centres, prestigious universities and qualified experts and its research results and findings have often contributed to the national and European political and academic debate. IRS carries out monitoring and evaluation focused on European, national, regional and local policies, projects, actions and services; organizations and companies, conducting ex ante (with selective, predictive aims), in itinere and ex post evaluations. Project “INNOVATIVE CLUBS FOR DUAL CAREERS (IC/DC)”, 2015 (on-going): the project, financed by Erasmus + program, is aimed at developing an innovative club-based pilot programme to support Dual Careers that facilitates an optimal combination of high-quality training and education to young athletes practicing water sports, namely canoeing, rowing and swimming. IRS is carrying out the project monitoring and evaluation system. Project “Tracce di Sport (Sports traces)”, 2011: With Tracce di Sport, we carried out a field research “on the road”, visiting all Italian regions in order to investigate their sport realities and their relationship with the local context (i.e. Institutions, Schools, Sports Associations and Federations). During the research, we collaborated to the production of television and press reports for Italian television and media. The interviews conducted with local sport actors were diffused on the national channel (RAI) during the Football World Championships. Sport Initiative “Mi muovo”: The project aimed to create weekly programs of open sport activities in parks and public spaces – connecting local sports associations. In 2 months of about 30 different sport activities, more than 3000 participants were involved. Mens sana in corpore sano: policies and instruments for an healthy and dignified active ageing for elderly women. The project aims to plan innovative policies for a healthy active and dignified active ageing for elderly women through: the involvement of all the relevant stakeholder at the national and local level, the promotion of a national debate on this issue according to a gender perspective, increasing awareness and knowledge on the issues through exchange of ideas, experiences and best practices at national and EU level and identification of specific problems connected to different vulnerable target groups of elderly women. IRS has a specific department that deals with training and education policies. In particular, on competences issues we have developed extensive experience in the analysis, design and implementation of technical and professional competences and soft skills. Furthermore, we have also extensive knowledge on the evaluation of competences in the public administration. ESF Support to Apprenticeship and Traineeship, Commissione Europea, partnership europea Ecorys-IES-IRS, 2014. http://ec.europa.eu/social/BlobServlet?docId=11348&langId=en. INCLUDE – Language Policy for Active Social Inclusion, LIFELONG LEARNING PROGRAMME, partnership europea capofila Istituto per la Ricerca Sociale. Sport and Citizenship is the leading European think tank in the field of sport. Created in 2007 after the publication of the White Paper on Sport, it aims at supporting the development of the European dimension of sport. Sport and Citizenship is dedicated to the study of European public policies in the field of sport, and the promotion of sport’s societal impact. Ultimately, Sport and Citizenship promotes sport and physical activity as elements of a European identity. Therefore Sport and Citizenship has been committed since its very beginning to the launch of a European civic dialogue in the field of sport thanks to multidisciplinary and transverse reflections aiming at putting European sport stakeholders in relation with each other: governments, sport movement, as well as civil society, academics and the private sector. Reflections produced are then brought to the attention of policy makers with the objective that is recognized at European level a certain specificity of sport based on its social, educational and civic dimensions. Sport and Citizenship animates 5 European thematic networks on Sport and Health, Sport and Education, Sport and Disabilities, Women and Sport and Sport and Volunteering. Those networks echo the diversity and the complexity of the governance of European sports, as each is composed of experts (sport movement, institutions, NGOs, civil society organisation, private sector, etc.) in various fields such as health, gender equality, volunteering, education, disabilities. They constitute the basis of the work in the way that they provide our think tank with tangible arguments and ideas we can promote vis-à-vis the EU institutions. Through gathering experts, producing a European publication and organising a conference to spread the message, Sport and Citizenship manages to maintain discussions on various topics and bring in new ideas. Sport and Citizenship takes part in EU-funded project with various partner across Europe. Also, the initiatives created by the private sector are important in the field of sport. Sport and Citizenship activities also include the publication of a quarterly scientific journal which comes back every three month on a topic related to sport (http://www.calameo.com/accounts/761585). Regular conferences on various topics related to the European dimension of sport organised in collaboration with the European institutions and relevant sport actors in Europe. Sport and Citizenship also enjoy a strong experience of EU-wide projects. Our think tank is leading a 3-year Erasmus+ project on HEPA, and is partnering several projects on diverse topics. Sporting Foundation, founded in 2012, is a private, non-profitable entity, recognized as such in 2015. The main objective of Sporting Foundation is to promote the social solidarity, justice, and human dignity, in Portugal and abroad, particularly in Portuguese-speaking countries. The secondary purposes of this foundation are the Sporting Clube de Portugal aggrandizement, like sports, Portugal and our language. In last year, to better work with those groups, we have completely redefined the Foundation’s focus, creating some new core projects: the Movement for Social Integration through Sport and Culture, the Solidarity Theatre, Solidarity Portugal, Sport for All, The Food and Clothing Collection and the Social Support for Training project. These activities involve more than 13,000 people and develop partnerships with more than 110 entities. 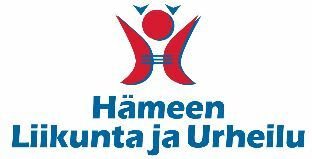 HLU is one of the 15 Regional Sport Federations in Finland. It is supported financially by the Ministry of Education and Culture. HLU capitalizes part of their actions by providing services to their members (sport clubs) and clients (municipalities, companies and sector organisations). The annual budget is app. 1,5 million € and office staff is 12 persons. It also has part-time coaches s and 2-4 trainees annually from different Sport and Health Institutes in Finland. In the area (geographical) of response lives app. 700 000 inhabitants and there are 33 municipalities and app. 600 sport clubs. Main focus is on sport clubs and municipalities (public sector). They also work in close contact with the Health District in our area. HLU vision is to “create more physical activity among citizens in all age groups and social backgrounds”. These actions ARE put into practise in co-operation with sport clubs, sport governing bodies, municipalities (public sector), schools, Health Care District, research institutes, 3. sector organisations (NGO`s) and private companies. HLU has a strong expertise and a long time experience relating to the area covered by the Green Play project. Sport clubs are members of the organisation and one of their main missions is to create more physical activity during the school days. They have wide networks for schools and sport clubs focused on children sports. In school context they provide for example seminars, mentoring and sports/physical activity education for teachers and other school staff, sports education and “recess instruction training” for school children. They have been an official partner in Governmental Program “Finnish Schools on the Move” since 2010 and during years 2011-2014 we managed ESF –project “School Sport Coordinators Increasing Movement and Physical Activity (KOLIKO)”. They are also working in cooperation with Finnish Olympic Academy for promoting olympism and Olympic values in schools and sport clubs. In 2009 HLU was a part of the organizing committee of European Youth Summer Olympic Festival (EYOF) held in Tampere Finland. Among other things they were responsible for the financial administration of the games. City of Tampere (office is in Tampere) is really active on organizing international youth games in different sports (for example 2017 World Junior Orienteering Championships, 2018 IAAF U20 World Championships in Athletics, 2018 UEFA U19 European Football Championship games). HLU consults the city of Tampere in event requests and in organizing matters. They are planning to organize seminars during those events considering “fair game” themes. Associazione Sportiva Dilettantistica S.S. Lazio Basket represents Basketball in Società Sportiva Lazio, the oldest and largest multisport society in Italy, founded in Rome on January 9th 1900. S.S. Lazio Basket has been a major team in Italian national league’s history. It has been re-founded from scratch by the current President, Mr. Simone Santi, an Italian entrepreneur, whose family has been always playing an important role on the basketball scene in Italy. It is based in Rome and it is mainly focused on social activities. Through the initiative called “Progetto Colors”, S.S. Lazio Basket has offered to children of different nationalities living in disadvantaged areas of Italy (and first of all in Rome) the opportunity to learn a sport which, just like education, is one of the greatest equalizer of our time. Until now, several hundreds of young players of about 30 different nationalities have had the opportunity to play basketball (for free) in different centers established by Progetto Colors in Italy. Further projects have been launched by S.S. Lazio Basket in Africa (in Mozambique). Basketball teams, for boys and girls of different ages, have been established in Zimpeto (a suburb of the capital city of Maputo), within a center which cares for orphans and street children. The female teams have rapidly reached very positive results (Mozambique boasts a long tradition in female basketball), and they have been enrolled in the official championships in Mozambique (with outstanding results. The under 12 team won the championship). 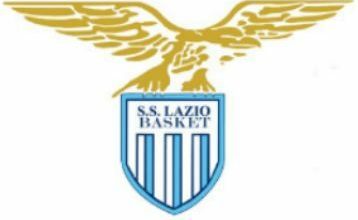 A local branch of Lazio Basket –called Associação Desportiva Lazio Basket- has been established for this purpose. Currently 4 teams (3 girls and 1 boys’ teams) play basketball in Maputo thanks to Progetto Colors. In Italy, S.S. Lazio Basket made arrangements with schools and parishes organizing sports activities for migrants, Roma people and Italian youngsters in disadvantaged situations and giving them the opportunity to train with coaches and with the support of psychologists. In the last 4 years, S.S. Lazio Basket has implemented the “Colors and Life” Project in partnership with Caritas, involving in sports activities 32 primary school-age children of different nationalities resident in the province of Rome (Area of San Cesareo, Zagarolo, Palestrina). The Project ended with the participation of a mixed team to the CSI under 13 championship. S.S. Lazio Basket is also committed, as Lead Partner, in the “WELCOME – Integration of young refugees through sport activity” Project, a Small Collaborative Partnership co-funded by the EU Erasmus + Programme. WELCOME promotes voluntary activities in sport, together with social inclusion, equal opportunities and awareness of the importance of health-enhancing physical activity through increased participation and equal access to sport for all. In detail, it aims at improving social inclusion of young refugees/asylum seekers by creating free training sports centers, which can become a safe point of reference to improve quality of life, self-esteem and self-perception of integration. Coaches and psychologists will follow the sports activities. The project intends to create a sustainable model of social inclusion replicable by different Clubs and in different contexts.